To ensure the successful execution of a social media marketing strategy for a business, buy-in from your team is paramount. Thinktank Social can organise bespoke social media workshops to assist brands with communicating their strategy to their teams, and educating teams on how they can use the platforms to leverage your agency brand online. 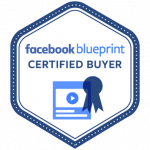 As a Facebook Blueprint Certified Buyer, Thinktank Social has perfected the art of Real Estate Facebook Advertising and can help your agency attract more leads and new business at a fraction of the cost of traditional marketing. Thinktank Social have spent a considerable amount of time working with Real Estate Agencies in Australia and can help your agency stand apart from your competitors, remain front-of-mind in your market and attract more business opportunities utilising social media marketing tactics. Dedicated Real Estate Landing Pages can capture and convert leads at a higher rate than your existing website and automate the lead generation process for your agency. Thanks again team! Couldn't be happier with the volume of leads coming through the door via Facebook. Outstanding work!